With a stay at The Woodridge Inn in Connersville, you'll be close to Whitewater Valley Railroad and Fayette County Historic Museum. This hotel is within the region of Whitewater Memorial State Park. Make yourself at home in one of the 57 air-conditioned guestrooms. Complimentary wireless Internet access keeps you connected, and satellite programming is available for your entertainment. 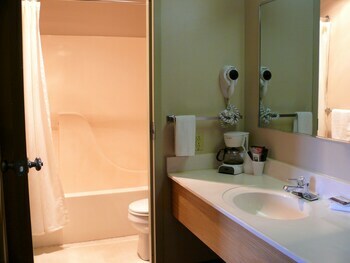 Partially open bathrooms with shower/tub combinations feature complimentary toiletries and hair dryers. 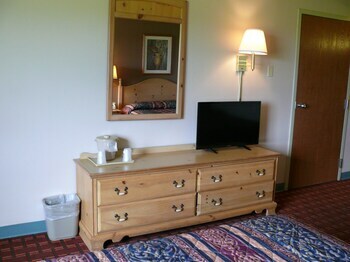 Conveniences include desks and blackout drapes/curtains, as well as phones with free local calls. 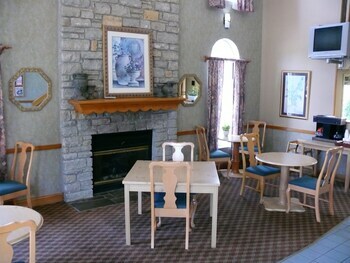 The Woodridge Inn Hotel is the perfect Connersville lodging choice for your trip to Indiana. With numerous amenities for guests such as 24 hour front desk, non-smoking facility, you will wake up at The Woodridge Inn Hotel feeling ready to go every day for your time in Connersville. Don’t let this amazing reservation opportunity pass you by, book your stay at The Woodridge Inn Hotel today to make the most of your time in Connersville, Indiana.